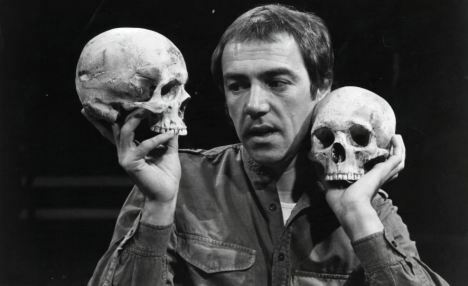 Robert Lindsay as Hamlet. Manchester Royal Exchange 1980-something. When I was a student I went to see Robert Lindsay in Hamlet at the Royal Exchange in Manchester. It’s a fabulous theatre, in the round so everyone is up close an personal. I’d camped out overnight to get one of the 10 cheap banquette seats given out at opening time on Saturday mornings. I had read the play; I’d seen it on telly. But watching it live was an amazing experience; one of the best productions I can remember seeing. The play made sense to me for the first time. From The Trivium 21st C by Martin Robinson – via the online preview. So, logos is an essential concept to consider in building our curriculum and pedagogy if we want our students to develop ‘wisdom that has the capability to shape us, to make us who we are’. 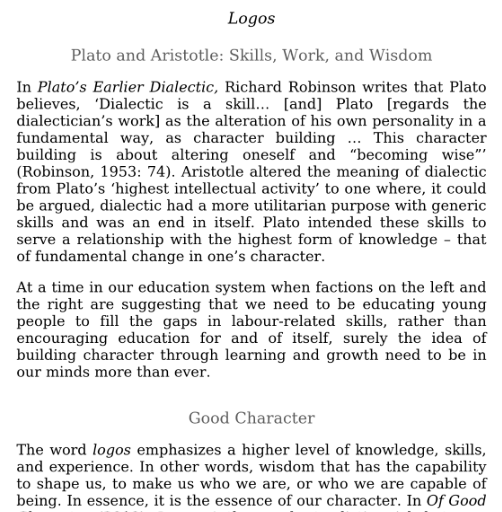 If logos is ‘the essence of our character’, we’d better make sure our students are getting plenty of it. The case of authentic experiences from Trivium 21st C.
This means, that when we plan our curriculum – the enacted curriculum that students experience, not the version defined by the knowledge organiser – we need to consider where we will provide students with opportunities for authentic experiences. Is grass grass? Well actually, not exactly. Not close up. Grass is mess of different plants, alive with bugs and beetles. 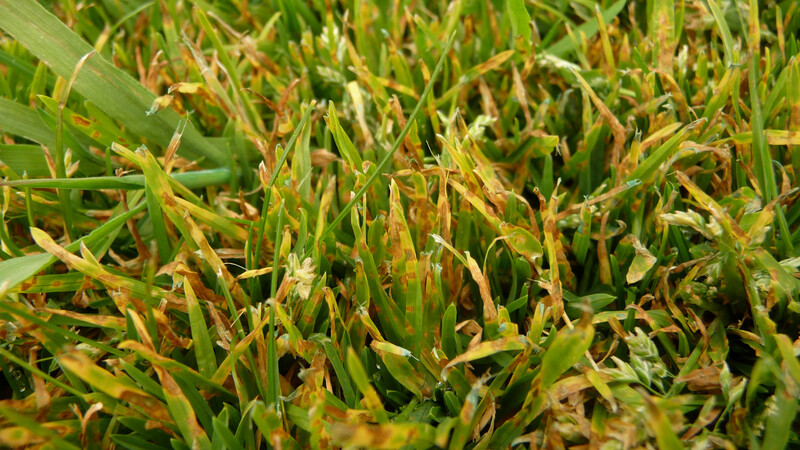 Have you ever lain face down on some grass and had a good look? You adjust your view of the continuum of grass to focus on a little patch which then seems to come alive; a micro world, teeming with life. In teaching about habitat and environment, it’s great to take students onto a field to share this with them. Sure, they think it’s weird but it opens their eyes. You can learn this in theory – but to cut in to a heart and find the valves and vessels for yourself is something else altogether. 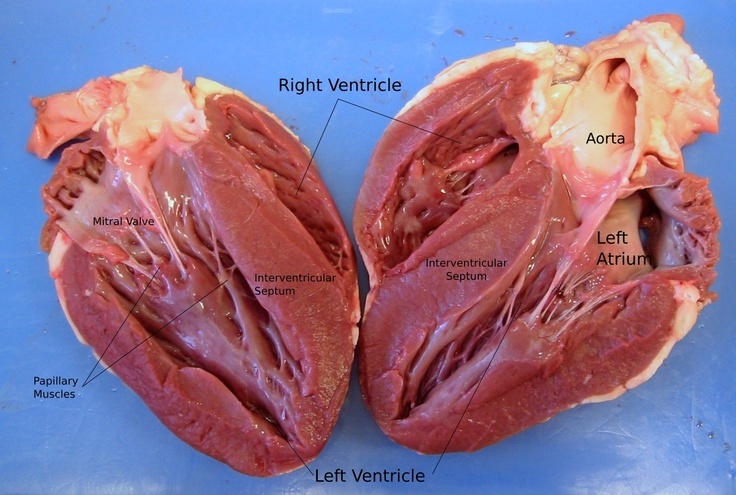 You can pass GCSE or A level Biology without dissecting a heart. But if you do dissect a heart, you gain experience that means something in its own right. You appreciate the muscularity of this amazing organ, you get a sense of the aorta as a cylindrical vessel and, perhaps most of all, you start to think of a heart as a 3D object. It’s something you remember doing long afterwards. Dissecting a kidney doesn’t necessarily help you understand its function (you’re often left with a bit of a mess) but the experience of seeing it helps build an awareness of the organ as having inputs, structure, layers and so on. As with all science practicals, you need to be clear that the theory doesn’t always flow from the practical work. However, the experience – the logos element – is valuable for its own sake. It is part of the process of learning chemistry to feel that test tubes get hot; to see reactive metals fizz into oblivion in water and, more generally, to appreciate the physical properties of substances change as you do things to them. The black column of carbon rising from a reaction of conc. sulphuric acid with glucose just has to be seen – partly just because it is really cool. It develops awe in the power of chemistry. And then you can link it all the equations so it all ties in. 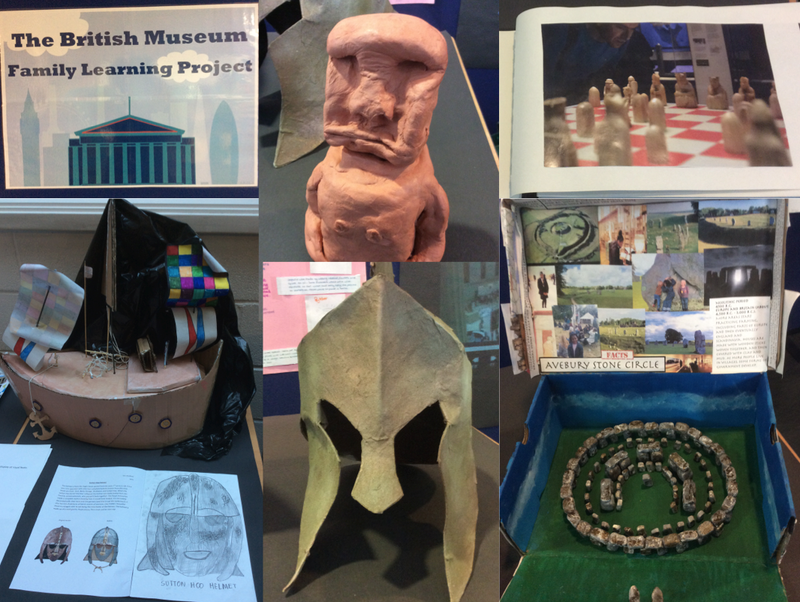 Some of the work from last year’s British Museum project. Making things is a valuable experience. And the trip to the museum is an amazing experience all by itself. There are lots of reasons to go to museums. You learn things; you can acquire knowledge. But most of all, it is the experience of being there that matters. To see ancient and significant historical things with your own eyes is quite something. The Rosetta Stone? Egyptian Mummies? The Crown Jewels. The lunar landing module? YES? These are the real things. They exist; they are part of our world; our history. The text book lives! You don’t get much more authentic than climbing a real mountain, sleeping under canvas on a cold and windy night in Wales. This is logos in action for sure. We take our Year 9s on an Outward Bound week every year; it’s embedded in our curriculum. Character can be engineered if you create the right experiences. You can’t short-cut this….you can read about it in a book but to build character you have to feel tiredness and pain and overcome fear for yourself. Why play music? There is knowledge to be gained but, mainly it is for the experience. Appreciating music is great – but nothing beats playing it yourself. 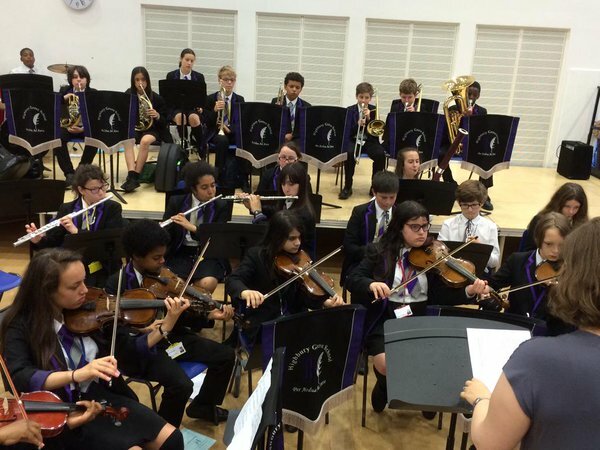 Our universal music tuition programme at KS3, supported by the charity MiSST, is a cornerstone of our curriculum. Every child a musician; it’s fabulous. Why do it? Partly it’s to build cultural capital – we have a classical programme for a reason. It can give students a sense of achievement; it supports the idea that discipline, practice and listening all matter. These skills might be transferrable – although probably they are not. For me, the greatest value is in giving students an experience that has a chance to shape them: to learn to play an orchestral instrument and be part of an ensemble is an experience with enormous value just for its own sake. Get some balance 1. Over time, a series of lessons, you need a mix of Mode A teaching (straight, rigorous cycle of explain, model, practice, feedback) and Mode B teaching (awe and wonder inputs, open-ended explorations, hands on practicals, off-piste spontaneity). I’d suggest no less than 80% Mode A for most subjects but you need some Mode B for you and for your students to enjoy and embrace the whole process. So, getting our students’ hands dirty has a context. This is ‘Mode B’ teaching. It’s part of a knowledge-rich diet. Who knows what the optimum balance is. Certainly, there are opportunity costs to consider when we do too much of one mode or the other. But let’s not loose sight of what education is for. Outcomes matter; but so does the journey. At least, it should. « Out of the Attic. Would you apply your 80/20 split in a primary setting? No idea about that. It would vary hugely across the year groups I imagine.